Zürich 1 captain Jo Cackett and members of Zürich 1 with the Peppermill Trophy, and the GIN team who gave them such a hard fought match. 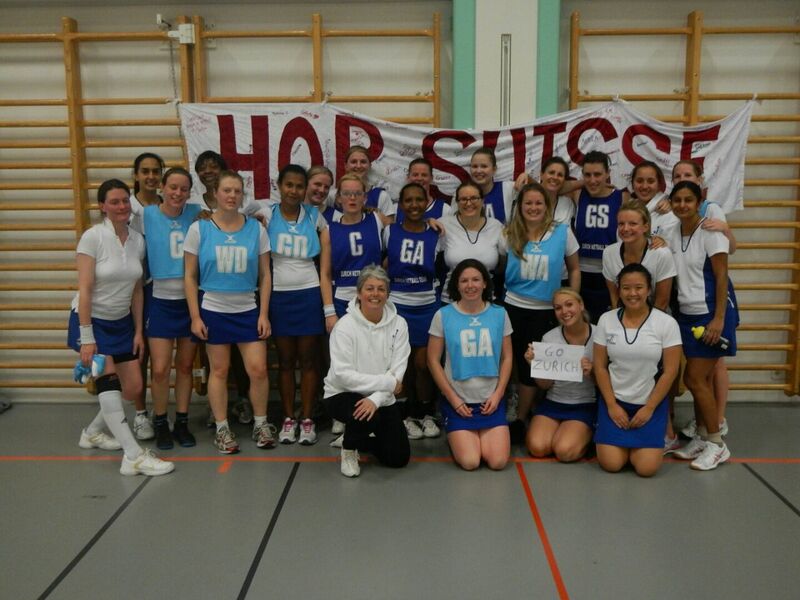 A very big well done to all the players who took part in the Peppermill Tournament 2014, Swiss Netball’s flagship national netball event. 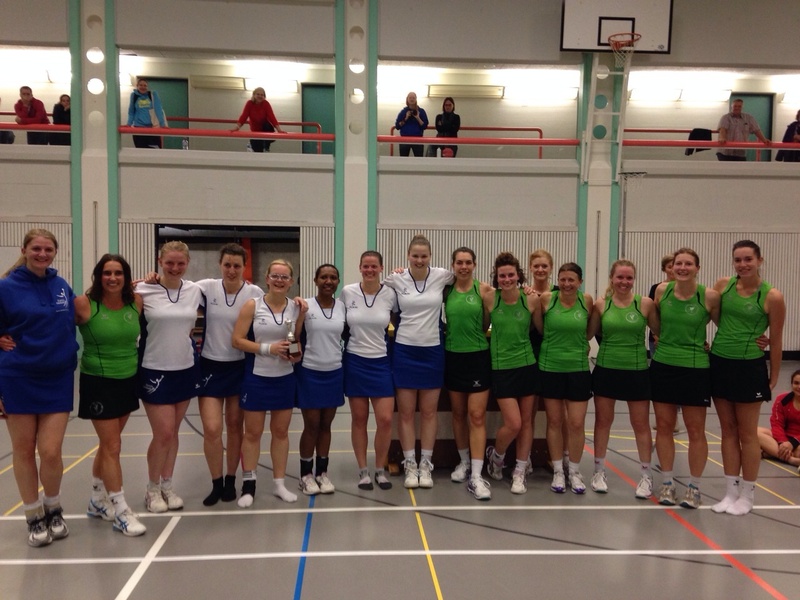 We’re delighted that Zürich took 1st, 3rd and 11th places, and we were the only club to have fielded three teams, so congratulations to everyone on your hard work and commitment to the netball cause. In particular – well done to the Zürich 1st team who gave us an absolutely nailbiting final against GIN to come away with the shiny silver Peppermill Trophy. Many thanks to all teams from across the country who got up early to come and play in Meilen, as well as all the umpires, scorers and supporters who gave up their Saturday to make the event run smoothly. Information about all other upcoming events run by Swiss Netball can also be found on their website, in case you haven’t had enough of a netball fix!